Obviously, reading is a passion of mine. A passion I hope to pass along to my children. Last week, I shared some of my favorite read alouds for K-2nd graders. As my children grow, I want the books to grow with them! 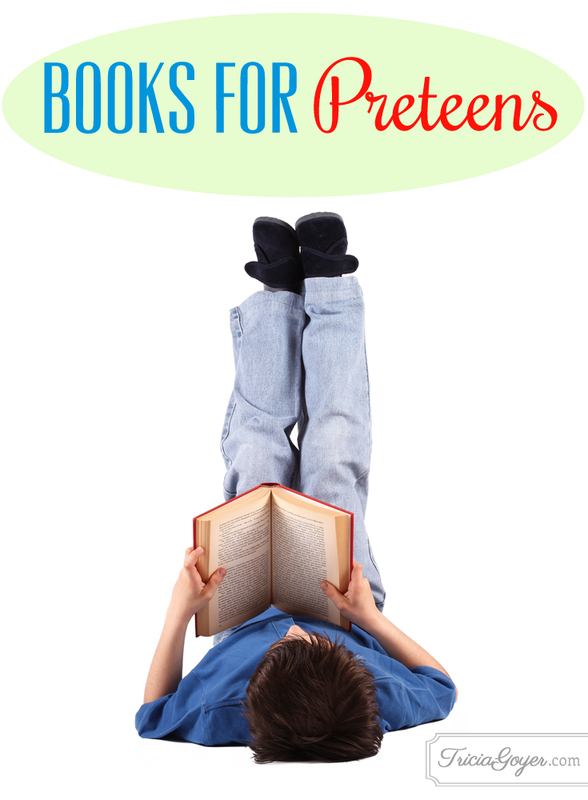 With your help, I’ve compiled great reads for preteen boys and girls. Make sure to check out the printable below for the full list of books! What books do your preteens love to read? Share below! 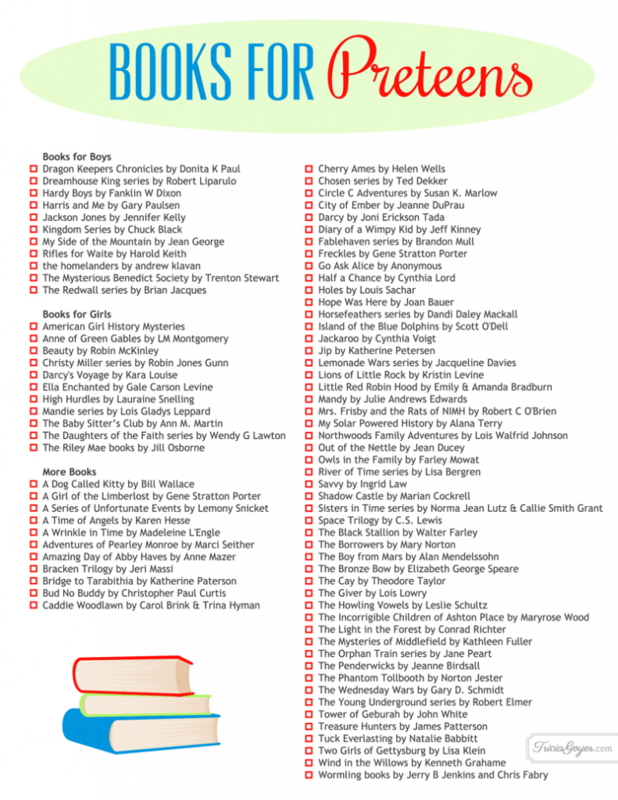 Download the printable for the full list of books for preteens! Thank you for compiling this great list! I read Rifles for Watie when I was young, but I had forgotten all about it! It is an excellent book. There are lots of new ones to check out on this list, too. I wanted to also recommend Bryan Davis. He has several series that are Christian focused but also have dragons and Nephilim and all kinds of exciting things. My almost 11 year old has finished his first 2 series (Dragons in Our Midst and Oracles of Fire) and I’m about to order the third (Dragons of Starlight).